Most people are familiar with the 7 chakras that run up the center of the body, but there are minor chakras as well, such as the hand chakras. Even though they are considered as secondary chakras, the energy centers located in the palm of our hands are powerful tools of perception and healing. 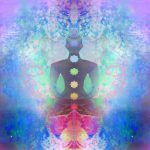 Healers appreciate the quality of energy flowing through their hand chakras, but also anyone, with a little awareness of energy, can grasp the importance of these centers. Where are the Hand Chakras? Hands are the centers for multiple chakras. The primary chakras are located in the center of each palm. Others are said to be located at each joint, which make hands particularly useful channels for energy healing. The palm chakras are the focal point for the hand meridians. Healers have differing views on how to classify the hand chakras; some see them as primary chakras, others consider them as concentrated energetic fields in charge of transmitting energy from other chakras. For instance, healing work often involves the hands as primary means to feel, give, and receive energy. Healers may channel energy through and from other chakras, such as the root chakra and earth energy, or heart chakra and love. Just like the other chakras, the centers of energy location in your hands are what allow you to interact with the world on an energetic level. They allow healing energy to flow both in and out and are associated with the act of giving and receiving. Healthy hand chakras manifest as openness, creativity and confidence as you move through the world. They are usually associated with the color red or gold, although their shade and radiance may vary depending on the type of channeled energy. 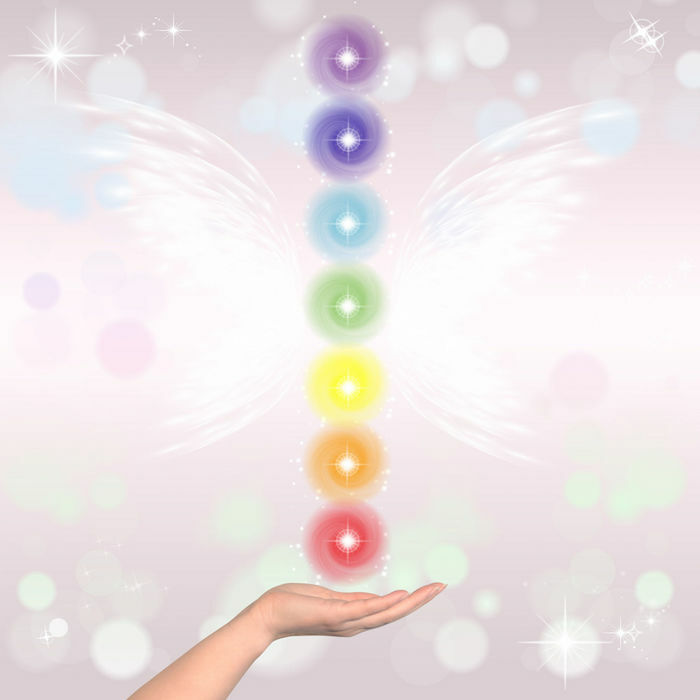 Open hand chakras are essential for energy healing. If they are blocked or imbalanced, energy flow from the healer will be weak or inconsistent. 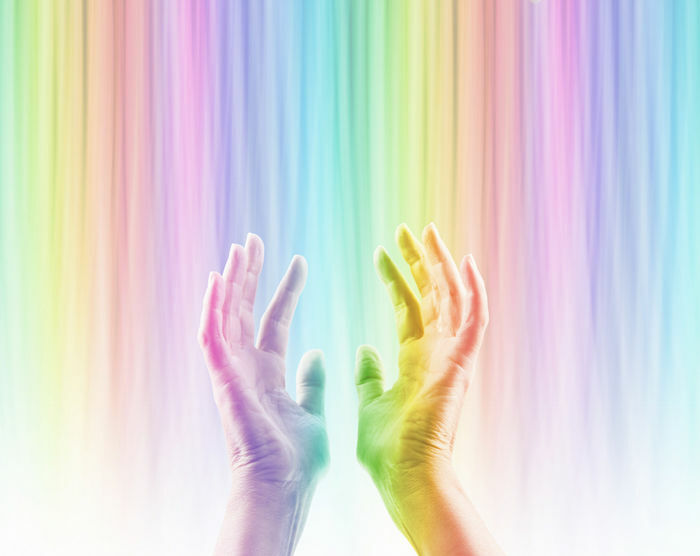 Reiki and other energy healing modalities use hand positions to help energy get where it is needed, but blocked hand chakras make that difficult. For self-healing, the same problems arise. Blocked hand chakras create a closed system rather than an open one, preventing energy from flowing freely through your body and getting where it needs to go. In addition, chakra hand positions, or mudras, can help balance the major chakras in the body. Blocked hand chakras will prevent these mudras from being effective. There are several methods for opening your hand chakras. One of the simplest is simply holding your hands in water. If possible, use a natural body of water such as a stream or a lake, but a bowl of water will work. As you let your hands rest, imagine the water gently washing away any blockages you might have and replacing them with bright, flowing energy. Another useful exercise comes from Reiki. To begin, hold your hands with your palms touching each other and gently rub them together. Imagine a glow forming in the palms of your hands. After a moment, slowly bring your hands a few inches apart, still imagining a glowing ball of energy emanating from your palms. Feel the energy. You may feel warmth or tingling as you play with this energy. 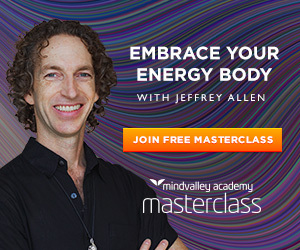 Move your hands around a bit, letting the energy move and grow. Imagine it flowing from each palm. Finally, bring your palms back together and allow the energy to flow back into your body, healing and energizing you. Creating art is also excellent for opening chakras. Using your hands will help get creative energy moving through them. Hands-on methods like sculpting are especially good. Balancing chakras takes time and consistent practice, but these exercises can be done in a few minutes a day. 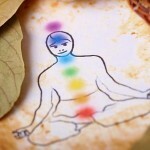 Regular focus on the rest of the chakra system will also help with balancing your hand chakras. Using mudras or Reiki hand positions during your meditation will allow you to work on your hand chakras while healing and balancing other parts of your body. I was trying to understand more about this other sense I have when I feel open to my surroundings and what it might mean. I almost feel like a light or flame comes from my palms. There is an energy that can grow. Wish I could understand more about it. No black magic can stop healing as long as their as is a long salutation. what does it mean if the energy from your hand chakra makes an infinity symbol? I believe it depends on how you “see” the energy making an infinity symbol. I’m a Reiki Master and I’ve been trying for some time now to find a good source for the other chakras of the hands and feet. Can you provide a good book or article that names them in the original Sanskrit? Thankyou so much! Hi, I am Elnaz. 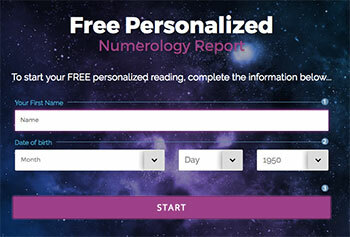 I just saw your message as a reiki master. I am reaaly interested in it and I would like to ask you some questions related to. Would you please help me wigh? We are trapped entities being ‘farmed’ on this world. Every time we die we have no control over our weak spiritual (energy) body. We contain a spark of divine that is being suppressed by parasitic and malevolent beings. It takes time and the right conditions for our spiritual self take more control from our fallen human body. ‘HU’ in front of man denotes slave status. I didnt see any post-link? just wanted to say that the palm chakra is not jus one but thousands of tiny chakras and is tertiary chakras, joints; secondary chakras, spine primary chakras. A busy mind is a creative mind. With all the extra energy you have, it is important to find an outlet for that, one that is focused outside of yourself and is filled with kind intention. Try and get in touch with ways of expressing that energy. As a remedial interim measure, walks in the open air, especially in natural surroundings (or surroundings where you can see and feel the joy of life) might be helpful to you. Even if it is raining or cold or night-time, there is almost always a benefit to finding calm in being outside and breathing deep. Life is here for your benefit. Thank you for saying that, there is so much in our word that is here to help us grow and heal. I run and touching nature is the balancing factor. I speak to my trees and leave them flowers and exchange their love to fill the voids that humans can never fill. I feel their roots under the ground way before I approach them. Talk about unconditional love. I visualize their roots coming through me. They are true healers…strong, powerful and resilient. It saddens me that people overlook them. Not to mention all of life’s creature that come to them…why in the world shouldn’t we? And it cost nothing! But this kind of thinking is the way of a Shamen, it is in our makeup or it isn’t. This is a way we know that somewhere at some time we knew…like we know now and we get to reflect that although something will change, other things gratefully will not. Thank you for this affirmation of my similar experience. 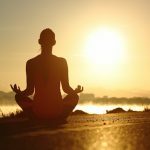 Thanks for the input-I’m just starting to learn-do you recommend taking reiki? Many years ago I experienced the opening of my lotus during a week of fire eating lessons. I was facing not only my fear of fire, but my fear of rejection when, after burning my lip, I chose to go no further. (Oh yes, I was a devout Christian and knew as I “saw” heard and felt my lotus open that Christians didn’t have a lotus. I have been familiar with the most well known 7 chakra points for many, many years, initially I felt it very strange that my strongest chakras are in the palms of my hands. I am careful when doing energy work not to point my palms at the subject’s eyes. Recently I have been able to share this energy in a circle of people to increase their innate energies while working for someone needing support or healing. I agree, sharing this information generally causes people to steer clear of me. When u feel that energy in your hands ive found u can expand that ball of energy to the point of havin your hands almost three feet apart an can still feel it and push on it an play with it.that there made me happy because when i first started practising with chakras i wasnt sure if maybe it was all in my head but after practice ive become aware and can feel the vibrations but feeling it in my hands really let me know this energy is real. i wanted to know if since i can feel that force in my hands push on and play with it wouldn that mean that telekinesis has possibilty. i believe in that type of stuff but never really heard of any experiences idk if maybe there is ppl with that ability but keep it secret from ppl afraid of being labeled a freak or atleast tellin anyone because most will think your crazy or it might just scare themselves because they dont know. What is there to worry? I have a sense that the energy we feel in the cups of our hands is kind of like shaking hands with God. Energy is in all things and this helps me to recognize the energy is like the breath of god passing through me. I relize that gods energy is in all things at all times and therefore I am with god at all times. What is there to worry?